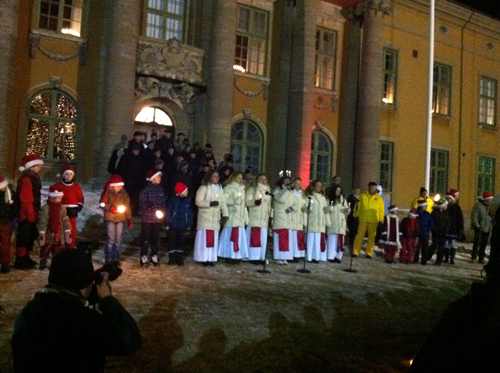 At dawn on December 13 you can hear and see Lucia march and sing carols with her entourage all across Sweden. Lucia wears a crown with lit candles on her head, a white gown and a red ribbon around her waist. Behind her walks tärnor - maidens and stjärngossar - star boys dressed in white gowns and with a lit candle in their hands. Star boys also wear a pointy hat on their head and maidens a glitter ribbon around their waist. 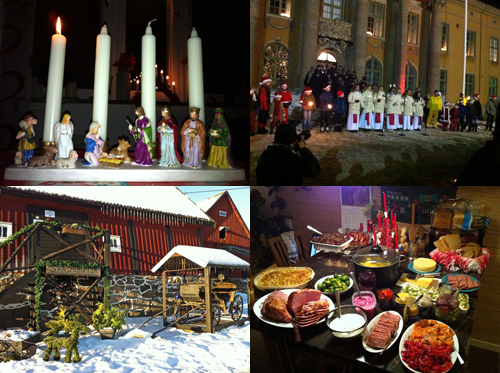 Lucia celebration in 2010 at Karlskronas town square, Stortorget, in Sweden. A short video of Lucia and her entourage singing a traditional Lucia song called "Natten går tunga fjät" at Karlskronas town square, Stortorget, in 2010 in Sweden. 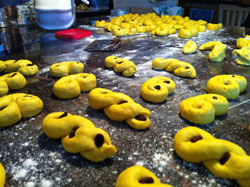 Another tradition on this day is to eat lussekatter - Lucia cats/saffron buns! A MUST! 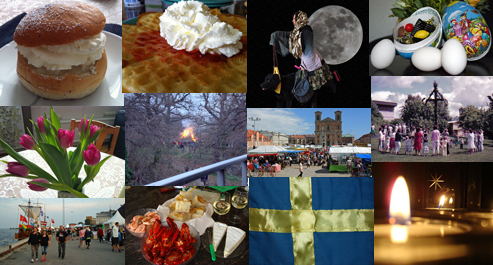 Originally our Lucia celebration is based on the saint Lucia, a holy virgin of the 200's who lived in Syracuse, Sicily. However, her destiny to be killed for her Christian faith has nothing to do with our Swedish Lucia tradition. Actually our current Lucia tradition did not emerge until the late 1800s. But as long as the Julian calendar was used, the solstice fell on December 13, and Lucia was also a harbinger of better times and longer days. 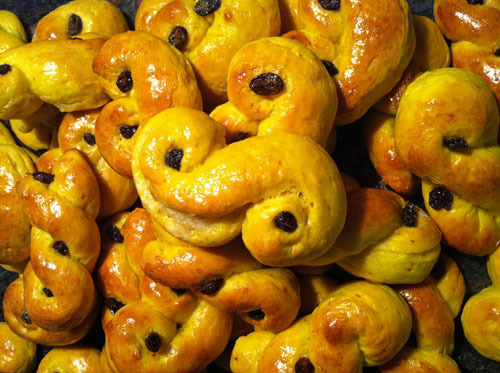 As for the traditional lussekatt - Lucia cat/saffron bun it has a thousand year history behind it. According to many mythologists the bun is in the image of the goddess Freyas favorite cat, hence the Swedish name.